One very important service IFS provides to our customers is Operating Documentation (a.k.a. Control Narrative) that includes detailed instructions in the operation of our units and systems. Such is the case with Ammonia Tank Farms used for SCR, and an example of this is the Control Narrative Tank Farm we scripted for the Black & Veatch Sandy Creek Project. 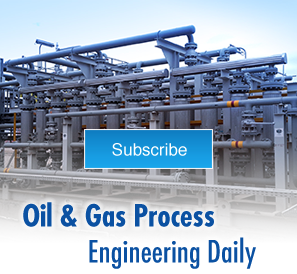 Operation and control of each process unit is covered in the documentation. In brief, ammonia is delivered by truck or rail car and unloaded into one of the two ammonia storage tanks. 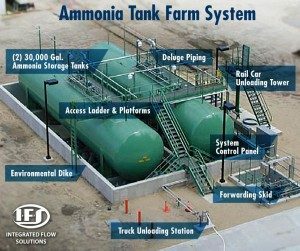 On demand, the anhydrous liquid ammonia is forwarded to the ammonia flow control unit (AFCU) where the ammonia is diluted with air blowers and vaporized with electric heaters. The vaporized ammonia is injected into the catalyst bed of the SCR as the combusted turbine exhaust passes through. NOx is converted to N2 and H2O. Detailed Operating Documentation is supplied with each process unit and system we build.